Our coaches are qualified and are DBS certified. ​ADRIAN HYDE - HEAD COACH. As an LTA licensed coach Adrian has the necessary Safeguarding, DBS and First Aid qualifications. Each year Adrian attends training courses and conferences to update his knowledge of the game. Adrian has over 30 years coaching experience including: County, University, Club and School level. For the last 25 years Adrian has taught in Dudley and supported PE both during and after school. 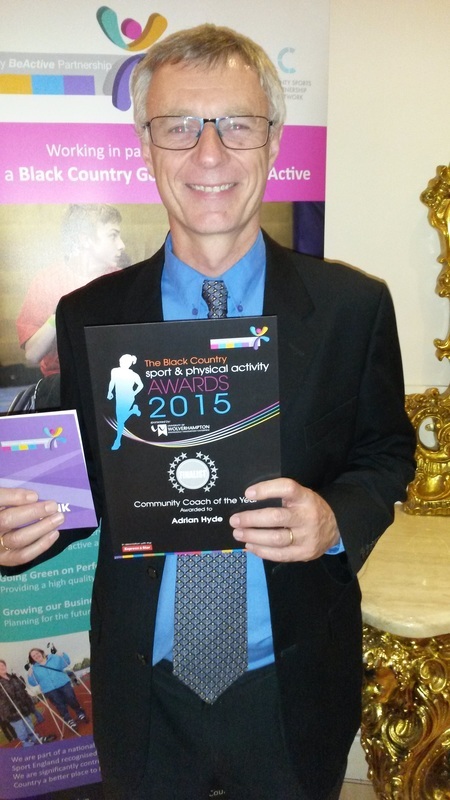 In November 2015 Adrian received an award for coaching in the community from the Black Country Be Active Partnership. Adrian has produced several junior and senior county players and is particularly pleased that many have been motivated to go on and become coaches themselves. - 30 years playing in the top divisions in Hereford & Worcester and Staffordshire. Why do I Coach at Wall Heath Tennis Club? 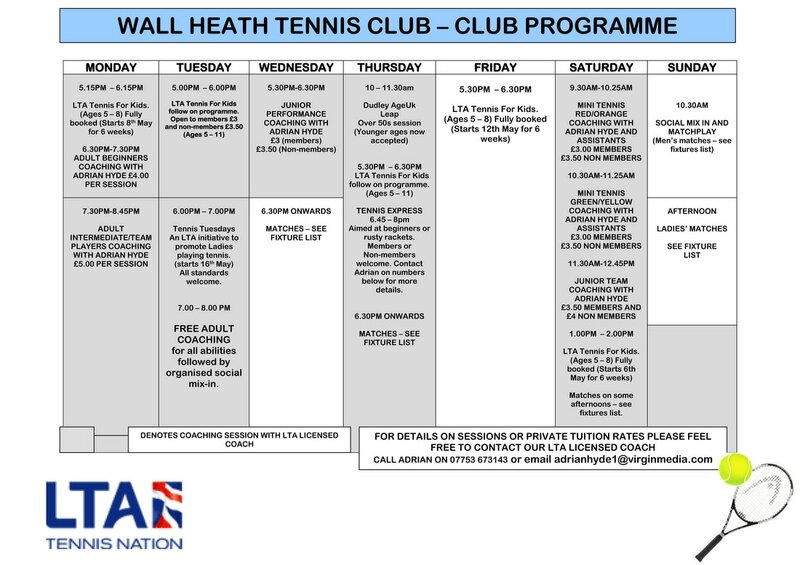 Wall Heath Tennis club is where I started playing tennis at the age of 8 and I continue to do so today. It's given me lots of happy memories and so many great friends. I want the Community of Wall Heath and surrounding areas to have the opportunities I have enjoyed. Please see the club's timetable for the week and in addition to this there are opportunities to book individual or group sessions. During the school holidays there are tennis and multi-sports camps run during the day. Chloe is a qualified level 2 coach.